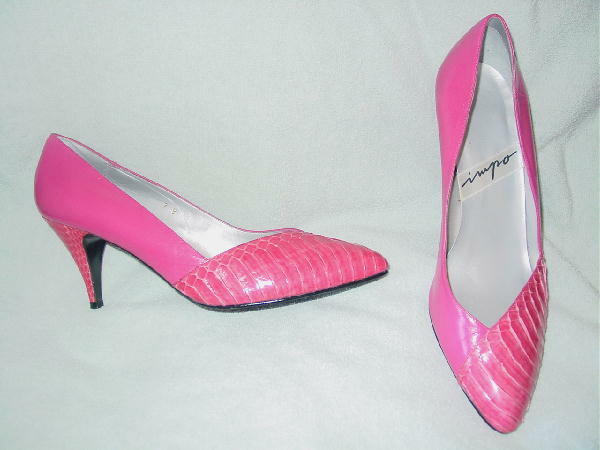 These hot pink leather and multi-tone medium pink snakeskin vintage Impo pumps have silvery gray leather linings and insoles. 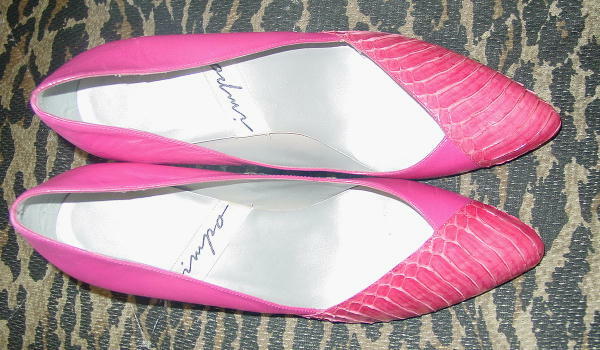 The outer toe area to the side of the foot has very large snakeskin scales. 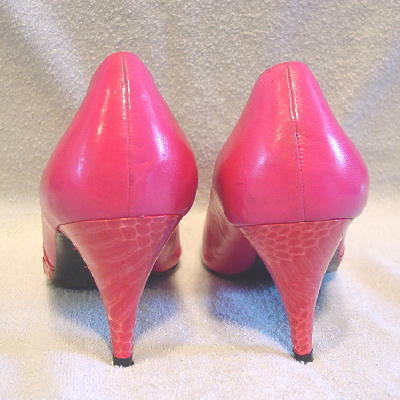 The high heels have a mix of very large scales and smaller ones. The leather has some wrinkles and there are a few very small grayish scuff marks on the back of the right shoe. She said she only wore them a couple of times. She sold them because she was photographed each time she wore them.